A short walk outside the Roman walls of Canterbury is St Martin's, the oldest Church in the English speaking world. 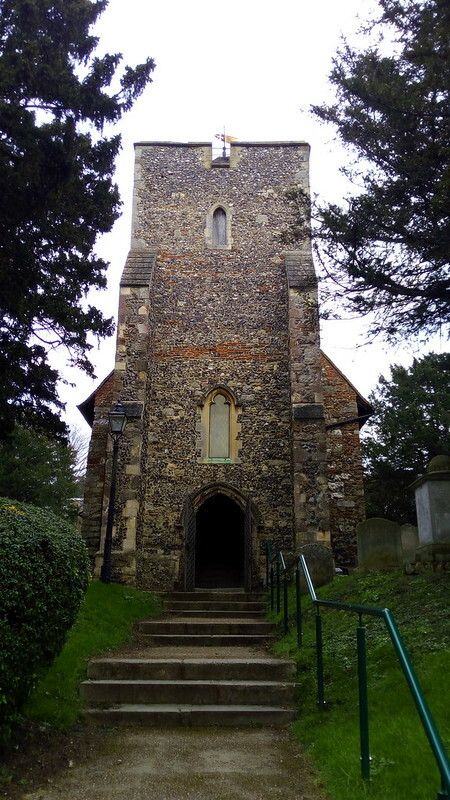 St Bede says that it was in use in late Roman times but had fallen out of use until it was restored by Queen Bertha, the Christian wife of King Ethelbert, in about 580. When St Augustine arrived in 597, his community of monks enlarged the Church to make use of it for the choir offices and it was here that Ethelbert was baptised. Since the Reformation, the Church has been in use as an Anglican Church and continues to be a parish Church today. The visitor is welcomed by one of a team of volunteers who are enthusiastic and knowledgeable. 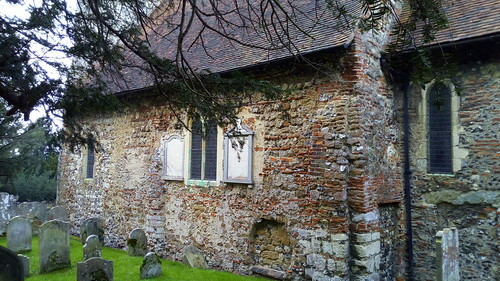 In the photo above, you can see the red, flat Roman bricks that were re-used in the walls, and the saxon buttress which was part of St Augustine's extension. Among the many features of interest is the Squint, an angled hole in the western wall of the Church which was provided for lepers to be able to see the Mass being celebrated. I suppose this was a medieval effort at providing disabled access. When time permits, I am reading up on the mission of St Augustine and other matters of historical interest related to East Kent. Canterbury is half an hour on the train and I hope soon to visit the Abbey which St Augustine founded once the community was more settled. As with many things in this part of the world, it is closed during the week from November until late March, so the improved weather also brings the possibility of more interesting day trips.